The first Fiat Panda was introduced in 1980, the second model was launched in 2003. Since the beginning a van variant of the Panda was also available, that was basically a standard Panda without rear seats. 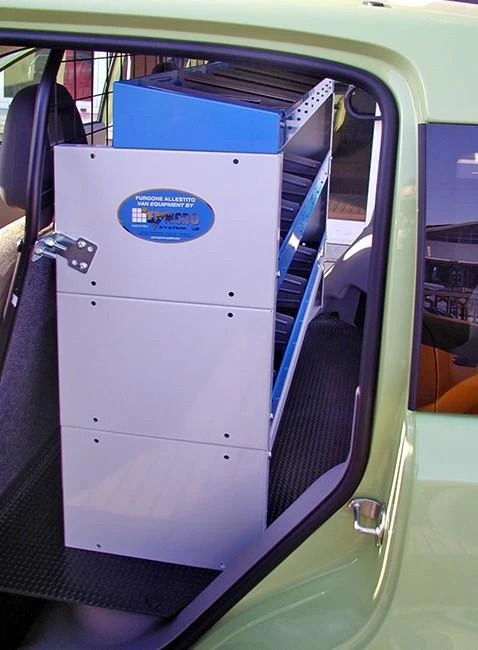 The rear windows were replaced with plastic blanking panels and a small plastic extension with side hinged doors was fitted instead of the usual hatchback tailgate. 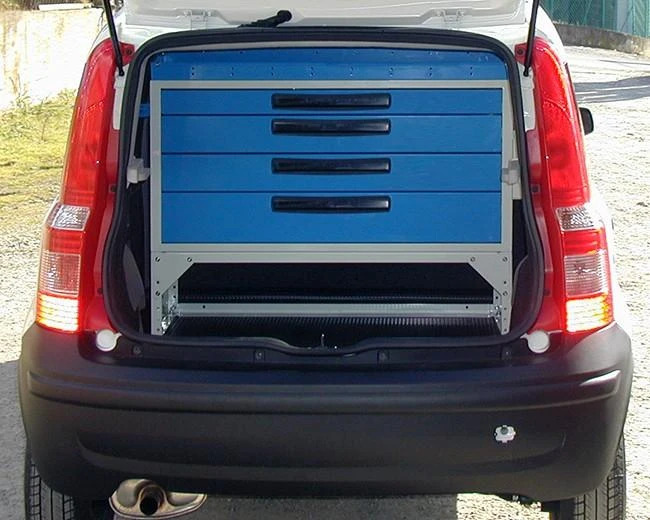 Since 1996 Syncro System group has offered racking, drawer units and accessories to convert the Panda Van into an efficient mobile workshop. 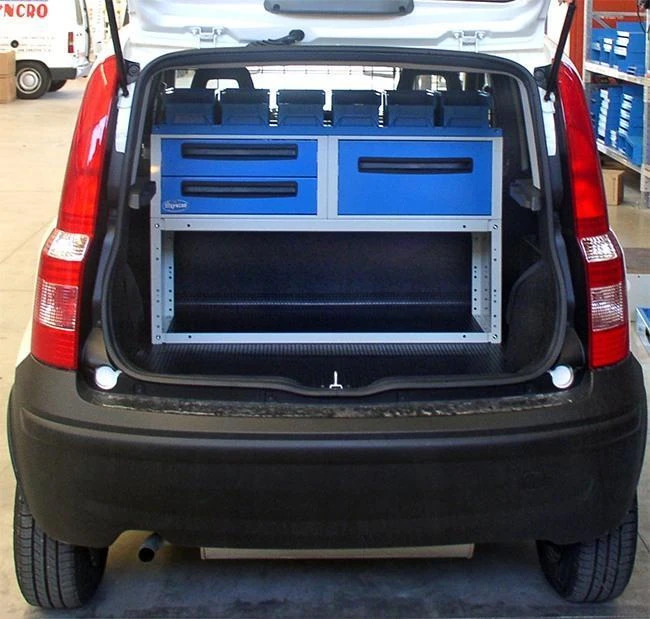 Please see some examples with racking, storage containers and drawer units; here some other examples of van racking for Panda Fiat. 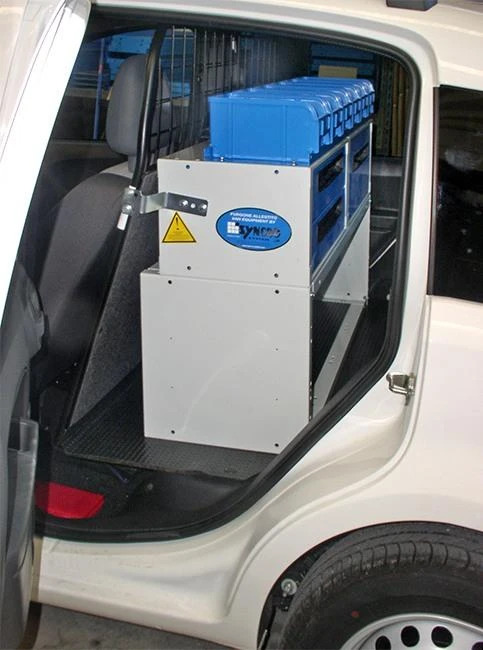 Syncro System roof rack system is provided with the aerodynamic Ultrasilent profile, that allow a considerable reduction of noise and vibrations. You may see in the images a roof rack for Panda with side panels and loading roller, roof bars and ladder racks with 1 or 2 slide-outs are also available.